Because I actually wrote something coherent this time around, I thought I’d toss my Cs paper (“Picking Up the Fragments of the 2012 Election: What Do Memes Mean for Rhetoric?”) up on Academia.edu — here. I had a particularly fun Cs, abridged as it was. (Having blown all my conference funding on FemRhet, I just opted to drive up to Indianapolis for the day.) But my panel was well-attended, and I saw some old friends. Can’t ask for much more. 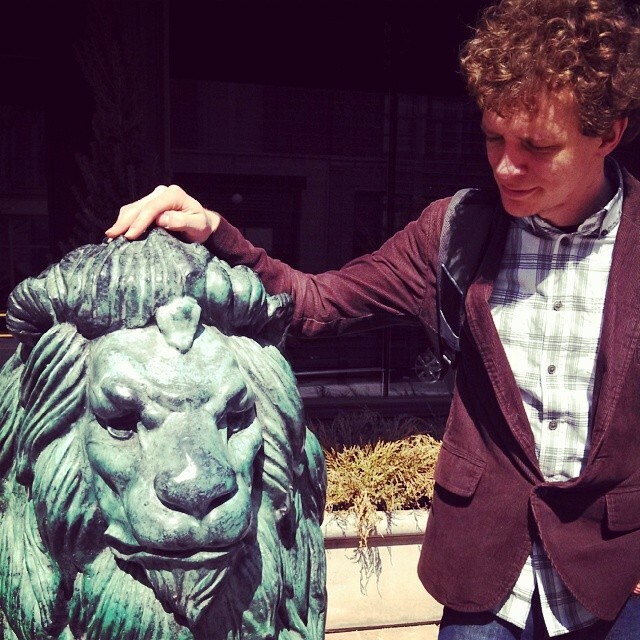 Also, somewhere in downtown Indy, Stephanie snapped this picture of me consoling a grumpy lion.